The new Uffizi Director Eike Schmidt was born in Freiburg, Germany, 47 years ago. He is an art historian, he graduated in history of medieval and modern art at the Ruprecht-Karls-University of Heidelberg in 1994. 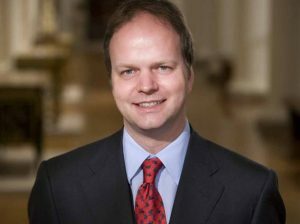 He was head of the department of European sculpture and works of art of Sotheby’s in London and has been curator of the departments of sculpture of the J. Paul Getty Museum in Los Angeles and the National Gallery of Art in Washington. In 2009 he arrived at the Minneapolis Institute of Art, where he was at the helm of the department of the Museum of Decorative Arts, textiles, and sculpture, and he specialized in sculpture from the Renaissance. He worked and lived long in Florence, where from 1994 to 2001 was researcher at the Deutsches Institut Kunstshistorisches. 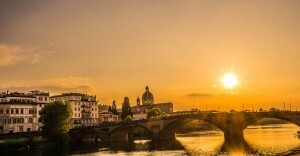 “A country that says it wants to change could not afford to confirm the old manager…”: Antonio Natali, former director of the Uffizi after the appointment of Eike Schmidt leading the most important among the 20 super-Florentine museums, says, however, not to be bitter. “The bitterness – he says – I had it when I realized what was the plan… For my part, however, I continued to work as usual, as if I should have stayed in the Uffizi to the year three thousand.” For Schmidt, the German scholar who will lead the Uffizi, Natali has words of appreciation: “I knew him well for a long time,” he said on the phone to the press agency ANSA. The Accademia Gallery will celebrate Höllberg Cecilie, 48, historic and cultural manager. Born in Soltau, in Lower Saxony, she completed her university studies in history and political science in Rome, Göttingen, Monaco, Germany, Venice and Trento. For the Bargello Museum, the new director is the Neapolitan Paola D’Agostino, 43, historian, back to Italy from Yale. The Mayor of Florence, Dario Nardella, immediately asked for a meeting with the new Uffizi director. The goal? Discussing the grand opening of the path of the Prince. As of today, two doors separate Palazzo Vecchio (municipal property) from the Uffizi Gallery (statal property). 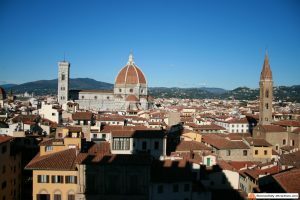 This separation doesn’t allow the visitors to completely enjoy the path of Cosimo I de Medici, from Palazzo Vecchio to the Pitti Palace, through the Uffizi and the Vasari Corridor. Certainly, finding a way to open this path would be a great start for the new Uffizi director.